Everybody likes a team high five, but there are many other ways that you can share customer compliments, good feedback and news. Customer compliments often reflects great service from a whole team. Good feedback is useless unless shared with a team. Even good feedback for individual agents can give others an insight into the level of service they should be aiming to give. Here are a few suggestions on how to share feedback with the rest of the team. A simple, low-tech but timeless way to communicate, a notice board can be one of the most effective ways to share good customer feedback. 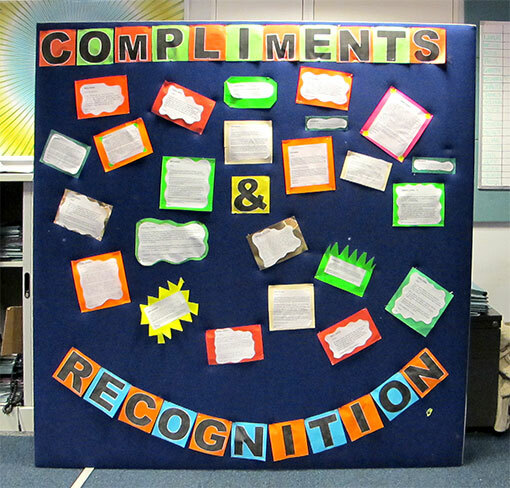 If a team or member of staff is commended, a team leader could fill out a customer compliment card which can then be pinned to the board. Sainsbury’s do this with a large notice board in the staff canteen or break room. It could easily be done in any communal area in a call centre, or in each team’s work area. One possible drawback to this is if one member of staff receives far more good feedback than any other. A board displaying compliments all for the same person can cause resentment and looks a little bit like hero worship. If someone is outperforming others consistently, display a few of the best feedback comments and reward that member of staff in a different way. They probably deserve it. Large call centres with plasma-screen TVs on the customer service floor may find them useful as a high-tech alternative to the feedback notice board. At certain times during the day the latest positive feedback could be displayed. This has the advantage of being visible to far more agents than a notice board in only one place. It also takes far less time to update, providing the call centre has software to control what is displayed on the screens easily. Good feedback could also be combined with tips and hints as a constant but unobtrusive reminder to deliver a high level of service at all times. A brief meeting at the beginning of the week is a great way to motivate the team and get everyone back into work mode after the weekend. Sharing good customer feedback from the previous week could lift a team and end the meeting on a high. Again, try to make sure praise is not just confined to one star performer and no one else. Good service at any level should be recognised throughout a company. 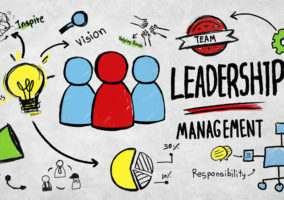 A letter from the CEO to a team or employee that performs particularly well can remind people that their contribution is valued by the whole organisation. An example of this can be seen here. A proper letter of thanks has much more impact than a quick email. 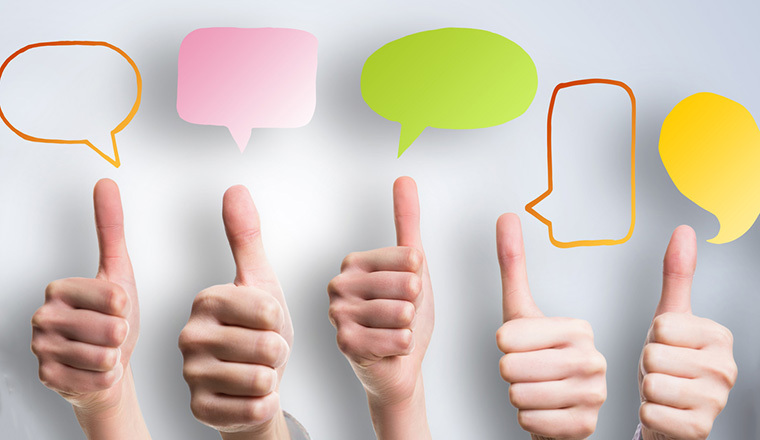 Sharing feedback on the company intranet can increase the visibility of customer feedback. “There are tools deployed in our call centres that provide ongoing access to customer satisfaction surveys and specific customer feedback in real time,” said Mark Smith, Operations Director, EMEA, Convergys Customer Management. Creating a league table on the company intranet would be a fun way to share feedback. A weekly top 10 could be produced of the best compliments received, and these could be added to an annual league table that added up the total instances of good feedback received by each team or agent. Social media could be used to host this. Facebook allows the creation of private groups that can only be seen by those invited to join. A team leader or member of the HR department could administer the group and update the result each week. 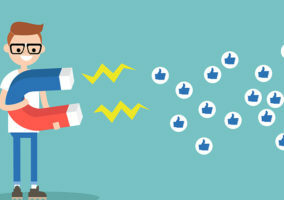 The kind of friendly banter exchanged on social media could help employees spur each other on. 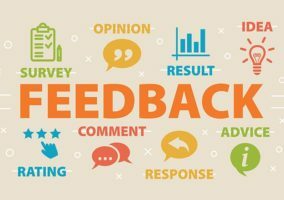 How do you share good customer feedback with your team? Share your thoughts in a comment below. As this article states, feeding back good (and bad) information to those at the “coal face” is essential to ensure everyone feels engaged with the process of handling customers.